Ended my week right! Did my chores, prepared everything for all the surprises, and Kian's Sailor Party. To everyone who don't know who is Kian, He is by the way my adorable son who just turned two with his dad last August 15. Mehe! Anyway, I will be going out of town and I'll be back on Tuesday! 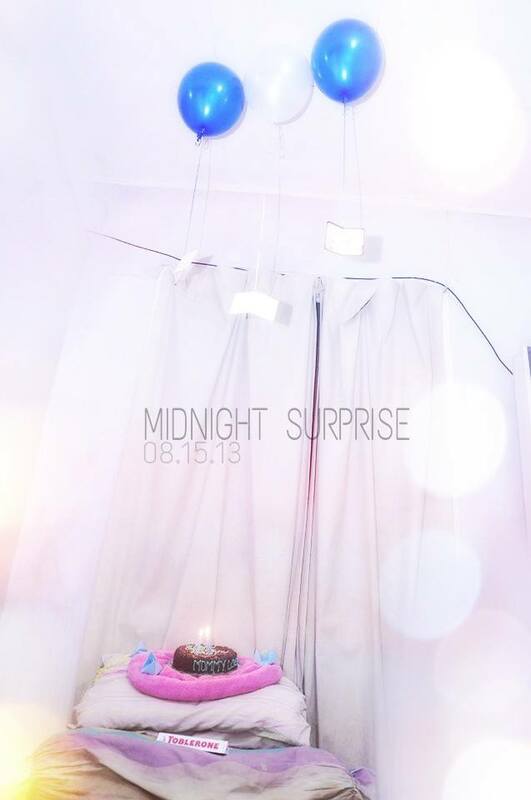 As of now, I'll leave you with this photo that was taken during my midnight surprise for them! Isn't that cute? It's funny how I surprised my two boys but nevertheless I thanked God for making things possible!